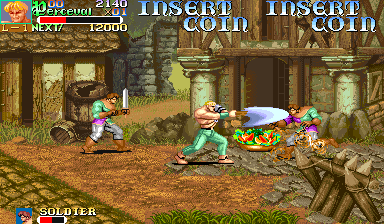 OverviewPlay as Arthur, Lancelot, or Percival in this medieval side scrolling beat-'em-up from Capcom. Now you can add videos, screenshots, or other images (cover scans, disc scans, etc.) for Knights of the Round (Japan 911127, B-Board 91634B-2) to Emuparadise. Do it now!